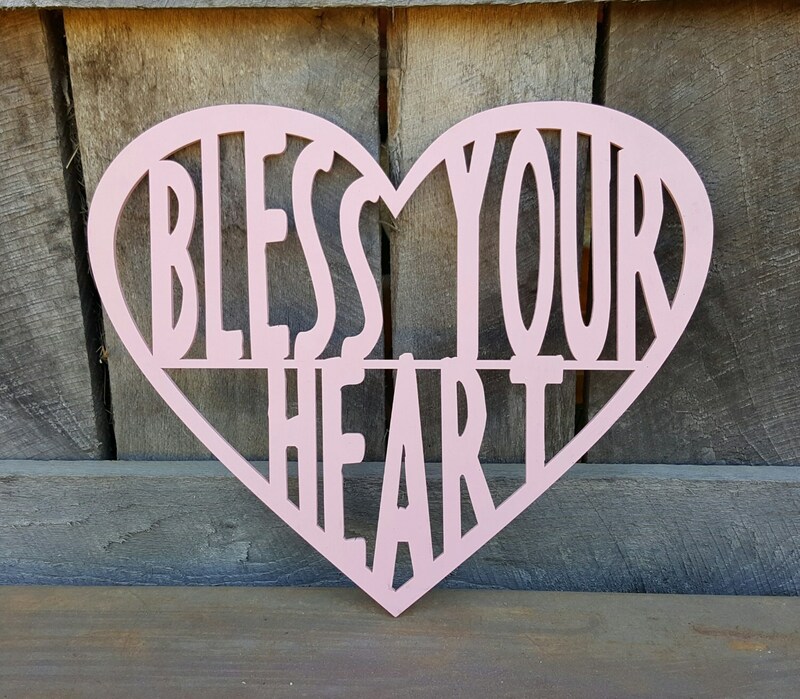 We love this unique way to add a favorite Southern saying as an accent to your home! 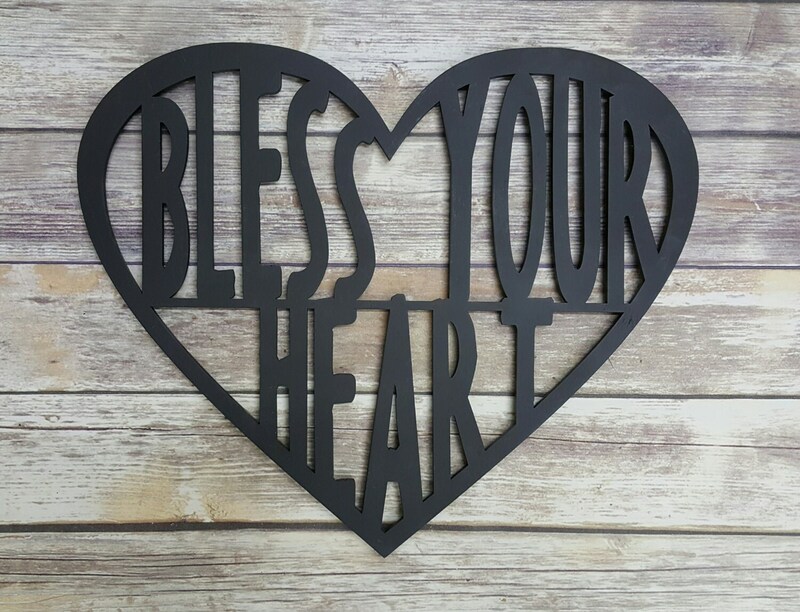 The words "Bless Your Heart" are joined with a heart border to make a single piece that is perfect to prop on a shelf or mantle or use as a wall hanging. This sign measures 16" tall, 19" wide and .25" thick. 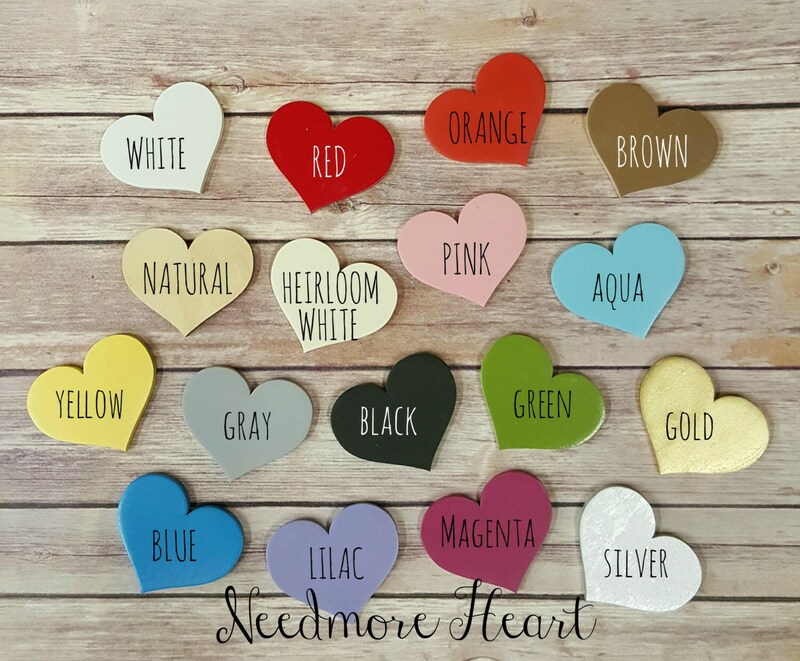 It is cut from high-quality Baltic birch and finished in the color of your choice. 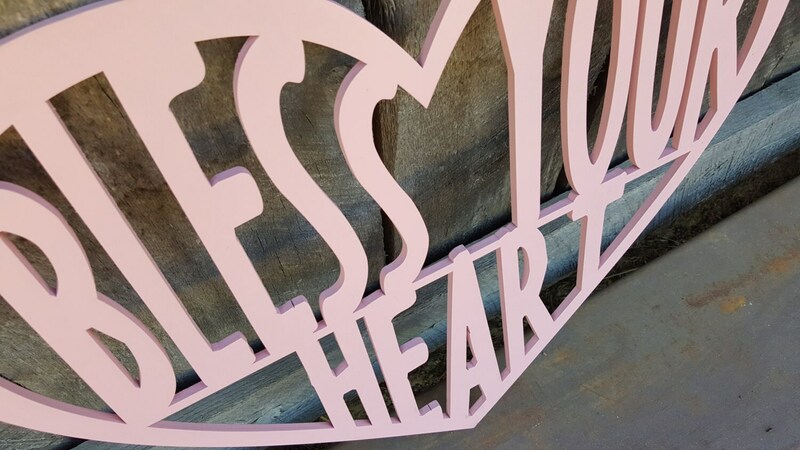 So, it arrives ready to display and add the perfect finishing touch to any space. 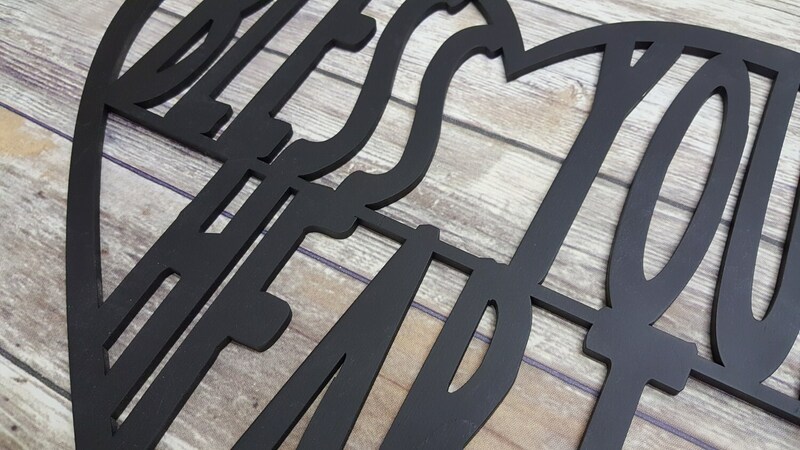 We love to use Command Adhesive Strips for hanging these fun pieces.